BioThrive Sciences is dedicated to ensuring your products are shipped out to you quickly and correctly. Whether they are going to a distribution center or retail locations, BioThrive Sciences makes the shipment of your products a top priority. BioThrive Sciences ensures your product is always sheltered and that your product is shipped correctly and safely to your site, guaranteeing our clients’ satisfaction. Our dedicated team of professionals work thoroughly to help your company maintain satisfaction among customers and to assist your company in building its brand. When you select BioThrive Sciences to manufacture your products, you select a company dedicated to your product and business’s success. BioThrive Sciences’ state-of-the-art facility can deliver and ship products anywhere in the United States and beyond. Our proximity to the metropolitan area of Atlanta, a hub for transportation and travel, ensures timely delivery of every product that leaves our facility. BioThrive Sciences upholds the highest standards of quality in our products and our commitment to fulfillment. Our Industry Newsletter can help any company reach their full potential. Our newsletter reports on trends in the industry, upcoming products and formulas, and helpful tips to ensure success in the marketplace and how best to promote your products. BioThrive Sciences prides itself in becoming a partner of your company and is committed to your success. We will work with you through the entire manufacturing process, providing you with a tailored and marketable product. 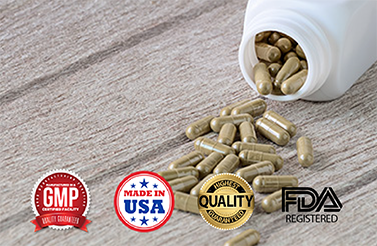 BioThrive Sciences is a leading professional in the supplement manufacturing industry. Speak with a representative from BioThrive Sciences about our ability to fulfill any product order you may have. Contact us at +1 (844) 263-3657 or fill out our online contact form to learn more about product fulfillment and other services.